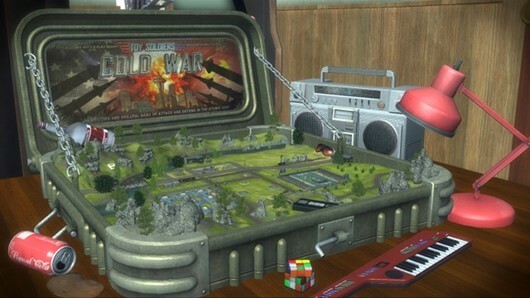 Developed by Signal Studios and published by Microsoft Studios, Toy Soldiers: Cold War is a charming real-time strategy game for Xbox Live Arcade. As the title suggests, I oversaw an army of toy soldiers fighting it out against the Soviets. I was tasked with protecting my army’s toy box from the enemy army. To do so I set a variety of weapon emplacements in predefined locations. As the oncoming army would march towards my toy box, my emplacements would take them out. If you’ve played a tower defense game before, you know what’s in store. I had to plan and often times think on my feet when picking out a weapon. Did I want a machine gun effective against infantry, or an anti-tank emplacement, etc? I could also jump into one of these emplacements and control them directly, gaining bonuses as I got kills. At one point I was able to control a Rambo-inspired soldier who wielded a machine gun and a rocket launcher simultaneously as he spouted off one-liners. I was enamored with the management aspects of the battle however and didn’t take direct control often. I liked the scenery around the battlefield. I had a blast picking out emplacements and watching the enemy army advance on my position, only to fall to my army; this was rewarding. Being able to fight as individual units, such as the helicopter, was fun as well, but it didn’t compare to watching a plan come together as I hovered above the battlefield. Besides the gameplay, I just liked the concept of the game. Fighting on top of a table and seeing the room around me created a realistic sense of scale. 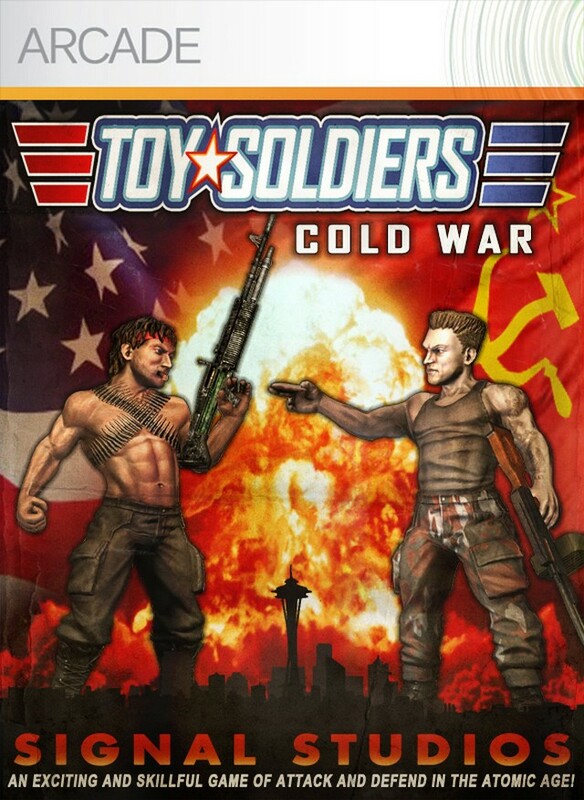 I really liked Toy Soldiers: Cold War. That said, some might find the game to be too simple, but I think it’s a great entry for someone who hasn’t played many strategy games. It was also easy, but the demo was set to the easiest difficulty. Besides those gripes, I really liked Toy Soldiers: Cold War and highly recommend it.